Is Your Reliance on Technology Ruining Your Skin? We all know that a lot of things can affect the quality of our skin and usually if we start looking haggard or spotty we will blame the usual suspects: oily skin, bad diet or lack of sleep. But actually our skin is so sensitive that it can be affected by even seemingly random things that you wouldn't expect to be in any way connected to your complexion. Your skin can be used as an indicator for your overall health and wellness then, which means when you have a problem with it you need to look in even the more unlikely places. So how can using technology too much damage your skin? Well first of all, if you use technology every day then it likely means that you aren't getting outside that much. In turn that means you probably aren't getting much vitamin D which your body needs in order to maintain healthy skin. At the same time, using technology means you'll be sitting down at work all day which means you won't be getting as much exercise. Exercise is important for your skin too, because when you exercise it improves your circulation and gets more blood and nutrients around your body and to your skin and organs. Without exercise you will find that your complexion becomes uneven, and that you become more likely to suffer from spots and other problems. Another issue with technology is that it can actually affect your sleep. Of course you need sleep for good skin because it's while you sleep that your body goes into an 'anabolic state' and gets busy repairing damaged tissue. A lack of sleep can eventually damage your immune system making infections that lead to boils much more likely. How does technology ruin sleep? Well partly through a resulting lack of exercise and fresh air, and even more if you keep your mobile phone by your bed – not only does that make it hard to relax but the light from your device will damage your sleep due to being at a similar wavelength to light from the sun. Well first of all you should make sure to take regular breaks from the computer – especially if you work on one. During these breaks it can't hurt to get outside and enjoy some fresh air so make a point of doing that. Another thing you can do is to consider working with your technology outside. Glare on the screen makes this more difficult, but with the right shade and a glare protector on your monitor it's certainly possible on some days. Standing up at work is also a good way to improve your circulation and even to improve your alertness and productivity. 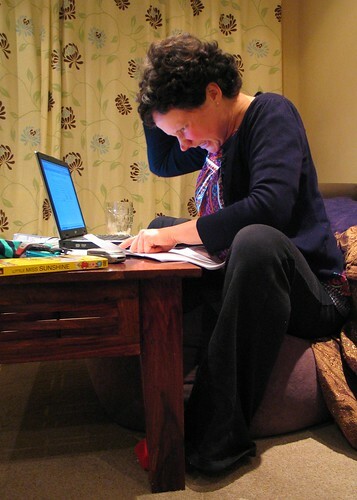 Try standing up while you answer e-mails and then sitting down only once you need to start the real work. Nancy Baker, the author of this article, is a freelance blogger who is currently writing for, Laser Medical Centre, a firm that specializes in skin whitening services in Toronto. She loves reading and is a part of an enthusiastic Book Club. You can also follow her on Twitter @Nancy Baker. If the Internet could be used to distribute music, videos, documents, and various files all over the world, why can’t it be used to distribute TV content? Fortunately, Internet TV has been invented today. In the past, people spend more time in front of their computers than in front of their television screens. This is because most of the fun shows and movies are available in the Internet and they could be accessed with a computer. But today, people could watch movies and TV shows from the Internet via television. 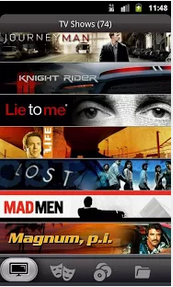 Most Internet TV subscription services lets you have access to Netflix. 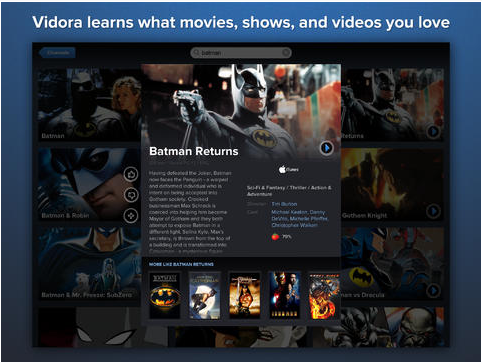 It is the leading subscription service in the world for watching movies and TV shows. 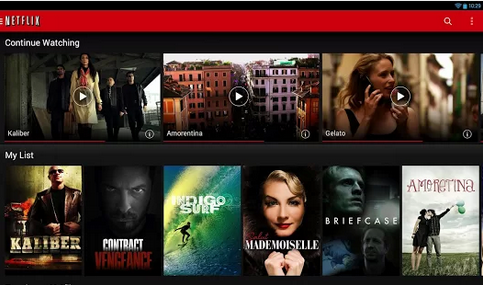 There is the Netflix mobile application that lets you watch the movies on your smartphone. You could get the app for free once you sign up for a Netflix membership. The application is loved by a lot of users. It offers a brand new menu that is easier to navigate through as well as an enhanced second screen experience. It requires Android 2.2. or higher. Another application to consider for a better Netflix viewing experience is iPhlix. It lets you have full control over your movie queue. Also, you could filter movie searches as well as search for various actors and movie directors.It is unavoidable to have more than one Netflix profiles especially if you have a household that really loves to watch movies. Well, the good thing about iPhlix is that it could let you manage as many accounts as you want to. IPhlix is available for both the iPhone and the iPad. Not sure which movie to watch with your TV? Never fret. The dilemma on which movie to watch is very common. It is a good thing that there are apps that could help you with your problem. One of those apps is Vidora. It could help you know about the videos which are being streamed online and not just the movies in the limited TV channels your Internet TV service provider offers. Vidora can also be helpful especially if you have just obtained your Internet TV and you do not know from which channels you could watch interesting shows from. It is currently available for the iPad and will soon be available for other platforms. One problem that a lot of TV viewers always experience is losing the remote control. Well, you do not have to waste a lot of time looking for that missing remote control. You could always download an app to make your smartphone a TV remote. 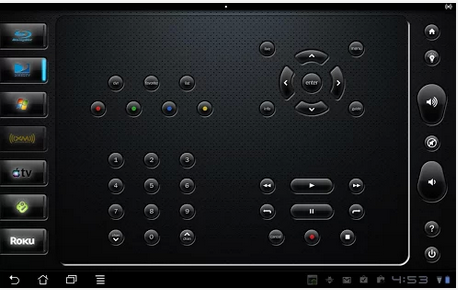 There are a lot of apps out there for such a function and one of them is the XBMC Remote. It can be used by both Android and iOS users. If you want to turn your smartphone into a remote and not just a TV remote, you could always download iRule. This app could make your smartphone an instant universal remote. It could control various appliances as well as the lighting fixtures that could be connected to through the Internet. It is definitely a must-download if you have a lot of gadgets and gizmos inside your home. It is available for both the Android and iOS series. To end this list is the app known as Instantwatcher. 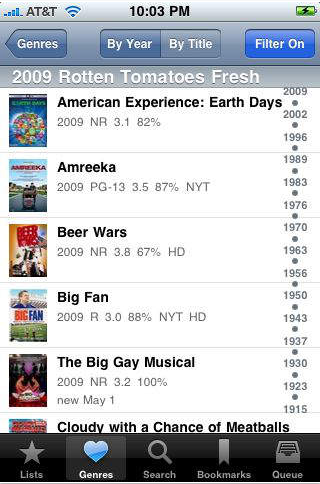 This application could arrange all of the Netflix movies alphabetically or by movie genre as well as sub-genre. You could also enjoy other filter options for your search such as video quality, critic rating, year of release, and a whole lot more. You would also be able to read about the reviews given by Netflix users for any movie. This guest post was written by Nancy Baker; she is a freelance blogger who is currently writing for VMedia, a team of best-in-class engineers, designers and content industry executives with an international reputation as a provider of top-quality IPTV services for ethnic markets. Her hobbies include hiking and trekking. You can also follow her on Twitter @Nancy Baker. What Should You Do If Your Laptop Gets a Dreaded Virus? If you suspect that your laptop has been infected with a virus, then you need to run your antivirus program’s scan function as soon as possible. This may take some time, but it will probably pick out anything that you need to know about and advise you how to fix it. Some people don’t have antivirus installed at all, or they do but it is not functioning properly. These people are highly at risk of getting viruses – but they learn their lesson fast! Follow the instructions that your antivirus software gives you, reboot and see if that fixes the problem. If you are lucky, you may just have gotten away with it. If you don’t feel like you can solve the problem by yourself, then it’s time to ask someone to have a look at your laptop for you. Many people have friends who know a little about computers – so if you can think of anybody that may be able to help, give them a call and ask them what they’d recommend. Follow their instructions and see if you get anywhere with that. Failing that, it looks like you are going to need to pay for some help! If a virus has really taken hold in your laptop, then you need to seek the services of an IT support company. Take your computer in, tell them what has happened including any error messages that you have seen, and also tell them what you have tried to date in order to fix it. They will need to know this so that they can take it into account when they are performing their repairs. You may need to leave your computer with them for a while – so be prepared to live without it for a few days. Hopefully, with any luck they will be able to remove the virus and get you back up and running again. No computer is safe from the risk of the virus – so the best thing that you can possibly do to protect yourself is to perform regular backups of all of your documents. At least this way, should your hard drive need to be completely wiped you will still be able to retain your important information. 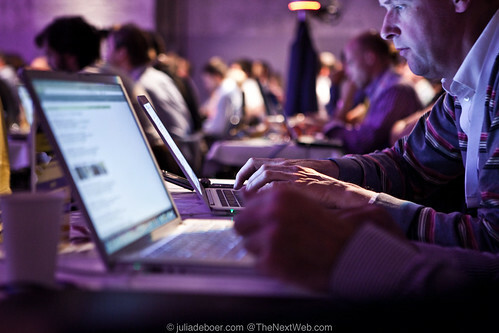 Shruti Vaghe, the author of this article is a freelance blogger. She likes to cook and read in her spare time.You can also follow her on twitter @ShrutiVaghe. Large IT organizations may have running multiple Mac computers over their network and gone through rough time while keeping track of all the crucial information about their Mac computers like running software, detailed hardware specs, startup items etc. There were tools like Apple’s itself remote desktop app, provides capability to explore real time information about your Macs and help you creating detailed reports of all the connected Mac computers, providing remote assistance & auto updating the installed apps. Though, information provided by Apple’s remote desktop app is very limited and may not help Macs technician to deeply analyze the changes in Mac since the successful run. 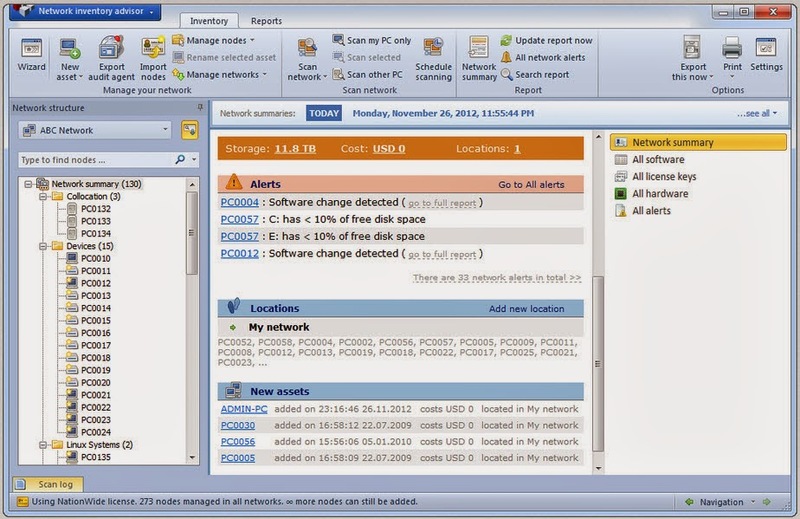 Network Inventory Adviser from ClearApps is a perfect reporting tool for your Mac OS X that keeps track of all Mac connected over network in large or small IT organizations. Network administrators can really take out the clear view of each and every Mac on a network with all the basic information they’ll need to troubleshoot Mac computers in cases of failure or inaccessibility. Just download this software from official website on Your Master Mac computer and install it as you do with other Mac applications. Initiate the first scan on your network using Network inventory advisor which collects all the information about installed software and hardware present on all Mac computer in native network. The report generated by the software will include details about all the connected devices over network, CPU details, network configurations, power settings, inbuilt memory, hard drive capacity and bunch of other crucial information which helps network administrator to check last successful running of Mac with installed applications and therefore easily rollback the changes and bring everything back to normal. You can easily export all the information in web forms or in PDF format for distributing or sharing with higher management team. Before begin using the software, you’ll require some basic information to get everything on track and analyze connected Mac computers such as specific administrator account setup on the targeted Macs, standard naming system to pin point every connected Mac over large network. Network inventory advisor have full proof security measures to prevent unauthorized access and altering crucial information. The app also allows you to specify logins for each Mac connected over network. Note: Network Inventory Advisor will run only on the latest Mac OS X computers. Mac computer problems can be complex and requires series of steps to troubleshoot. However, having previous records of machine software and hardware could make this task lighter and effortless. Network Inventory advisor is free for home users or for small networks having over 10 Mac computers. After that, a minimal fee will be charged and costs will be reduced if the large number of Mac computers in your network such as $45 for 25 Macs, $85 for 50 Macs, $345 for up to 500 Mac computers. Moreover, if you’re running large organization there is unlimited plan of $495 to handle unlimited Mac computers on your network. If you’ve any specific requirements, kindly refer to Pricing details page of Network Inventory Advisory. Technology seems to advance more and more with each passing day. Whether it’s in the classroom, the boardroom, on your drive to work, or simply when waiting in line at the grocery store, there are many technology options that have changed nearly everything people do. Here are five amazing ways that technology is changing our lives and how it will continue to grow. e, you can find all of this to keep your time occupied. With advancements in technology, there has been a greater method of accountability for companies to be at their best. With social media and hashtags, there are too many ways for customers to complain about a business and for other customers to find out about it. By giving feedback to your experience with a company, they are more likely to assure that each of their customers have what they want. Quicker feedback also refers to entertainment, in terms of what people are watching and talking about. Sites like Twitter have made it easier to find out what people are interested in, quicker than ever before. 3D printing is something that is already having a big impact on certain markets, and it’s likely to only get bigger as the technology continues to improve. Imagine being able to print off a set of plates or cups, or even separate pieces to a dinning room set. The options are quite limitless as 3D printing advances and becomes more likely to be apart of the average persons home. As with 3D printing, technology has simply made it easier for buildings to become larger and more detailed. Super stadiums like the one built in Dallas by Cowboys owner Jerry Jones boasts the worlds largest HD television and other perks that make the building not just a great place to visit, but a landmark that people around the world come to see. As cold formed metals continue to help make buildings larger, the technology that goes into these buildings will also only continue to grow. One of the other most important elements to the advancement of technology is the impact that it has on financial management. With many applications and services available, you can monitor and manage your finances like never before. And with instantaneous information to world markets, you can assure that your money is where it needs to be to be safe and protected. It has long been 'cool' to hate Microsoft, and it seems that the web at large will jump at any chance to attack Redmond for any of its companies. Partly this is simply due to Microsoft's success: people like to route for the 'underdog' and by extension they tend to turn a bit against the company/person who seems to be on top. But as a result of this, it's probably fair to say that Microsoft is no longer 'on top' in every sense, and in many cases they now are the underdog. 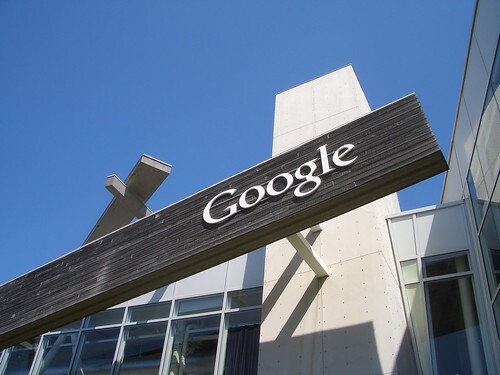 Compared to a company like Google, Microsoft's online presence is relatively humble and products like Hotmail and Bing are constantly being beaten by Gmail and Google Search. At the same time, in many ways Google is acting like the big evil corporation that it promised never to become. There are countless examples of ways in which Google has hurt its users and the web as a whole - seemingly just so that they can chase profits. So the purpose of this article is to try and get you to rethink this dynamic. 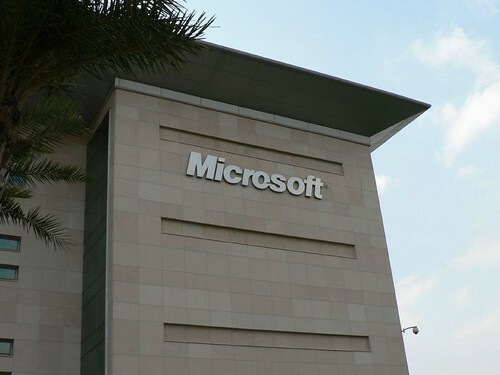 Read on for a few good arguments for Microsoft over Google as the company to route for. If you have ever tried out Bing then one thing will have struck you right away - it looks stunning. Those big images look glorious on a decent display and can really brighten your morning compared to the stark look of Google as a homepage. Okay so it's not 'ads free' completely, but one thing it doesn't do is to stuff ads right into your inbox which Google has started doing. After introducing those annoying 'Social' and 'Promotional' labels to our inboxes, Google thought it had free reign to start putting adverts inside our inboxes as though they were emails from people. And quite frankly, it feels like a betrayal. People joke about the new Kinect being 'big brother', but really Microsoft have given us no reason not to trust them. On the other hand, Google is now talking about using our images to promote products - something that Facebook was sued for last they tried it. Microsoft Makes Awesome Products: Another great reason to back Microsoft is that they build awesome products - while Google's are often rough around the edges to be generous (take a look at Google Wallet and tell me that's a good UI…). The Surface is a cool machine no doubt, and the Xbox is ace too - but it's clear that Microsoft has more up their sleeve and they aren't afraid to innovate. Take the 'IllumiRoom' concept for instance - now if that's not a cool idea I'm not sure what is. So back Microsoft - because they might just take us into the future. Nancy Baker, the author of this article, is a freelance blogger, currently writing for, PenTech Consulting, leading providers of SEO and web development services. She is an ardent tennis fan and tries to go to as many games as she can. You can reach Nancy via Twitter @Nancy_Baker_.